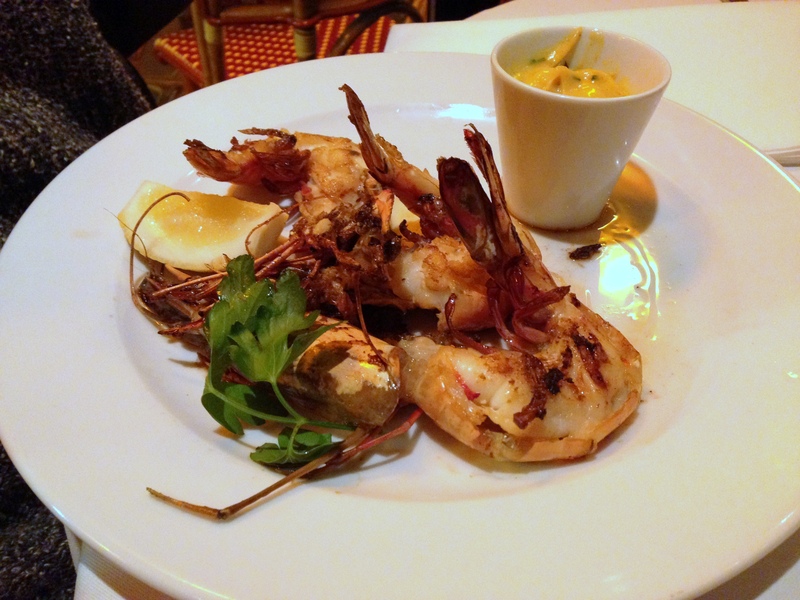 I ate and drank my way through Paris, France! 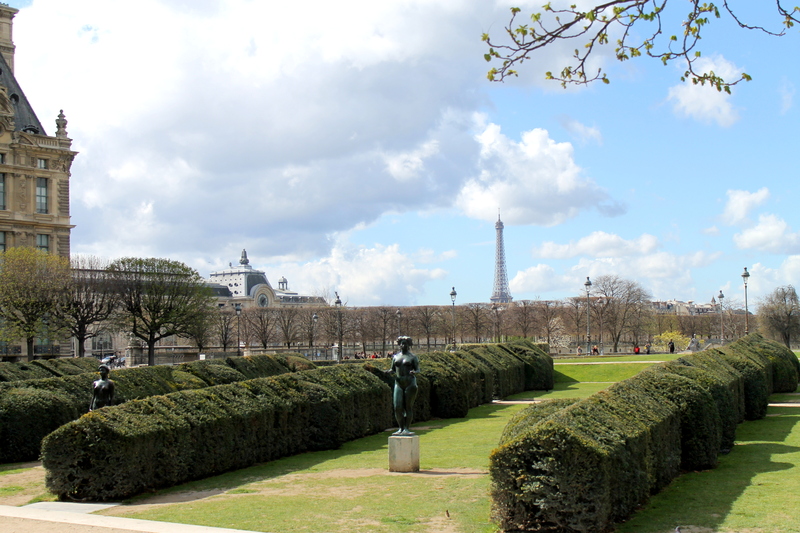 Here’s a recap of the sites I saw, the food I ate, and fun I had exploring the City of Lights. 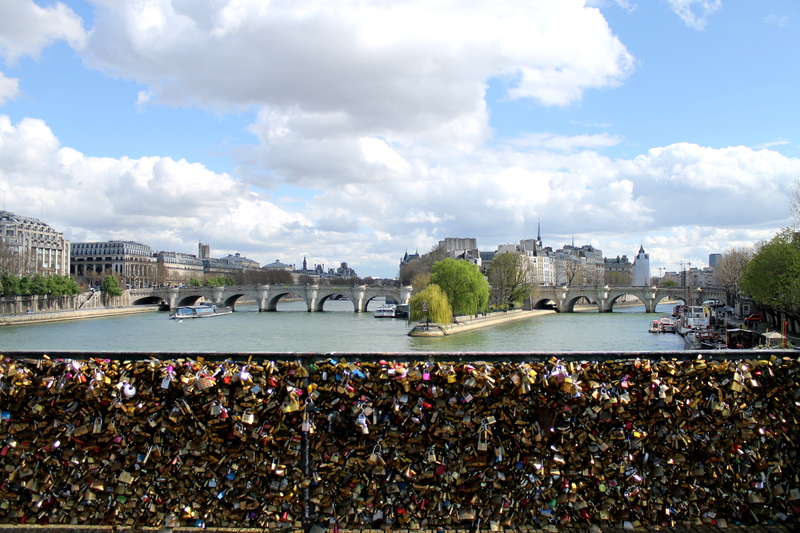 Okay, Paris recap. Let’s do this! 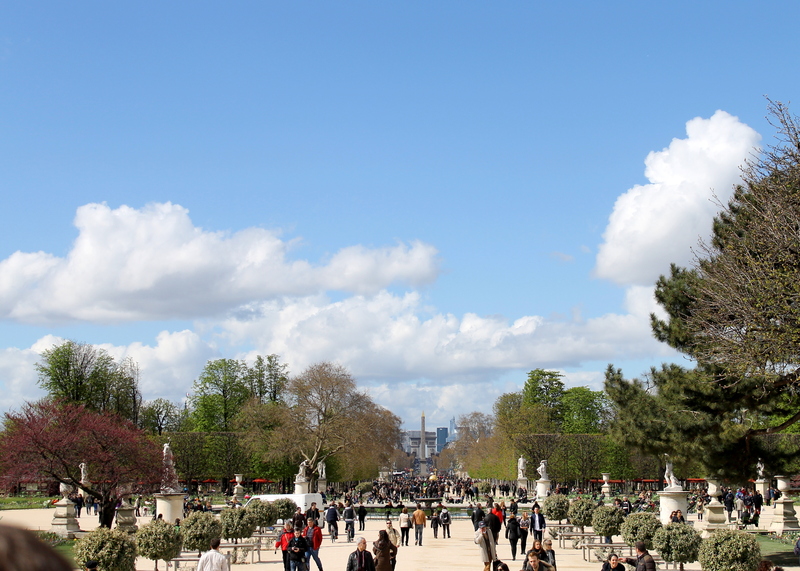 Paris, France is just one of those places people dream about. A city of magic, love, food, and beauty. And it is so all of those things. This trip to Paris was the third time I had been in the City of Lights, and I was lucky enough to spend it with my lovely aunt, uncle, and cousin. 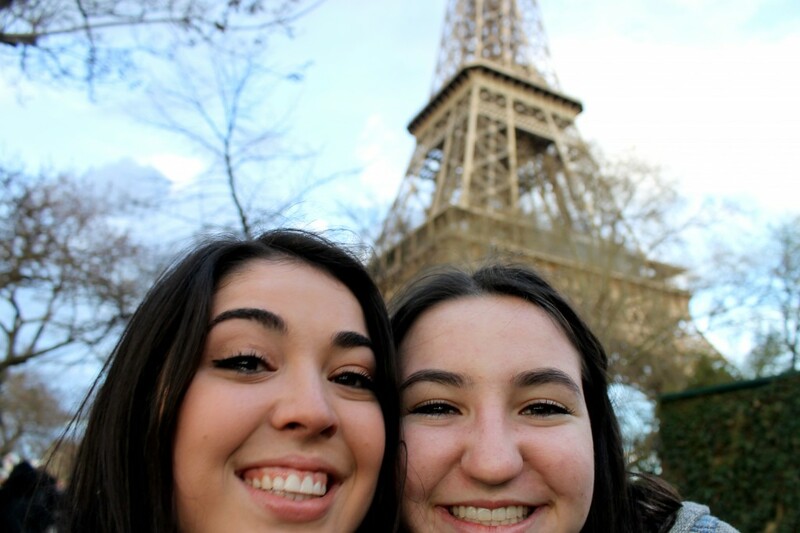 My aunt and uncle both had work in Paris, and brought my cousin along with them. I jumped on the train to go meet them (only two and a half hours from London!) and we had such a good weekend. It was absolutely wonderful to see some family after three months without them. We explored, walked, shopped, and ate our way through the city, and of course I documented the highlights to share with you all! 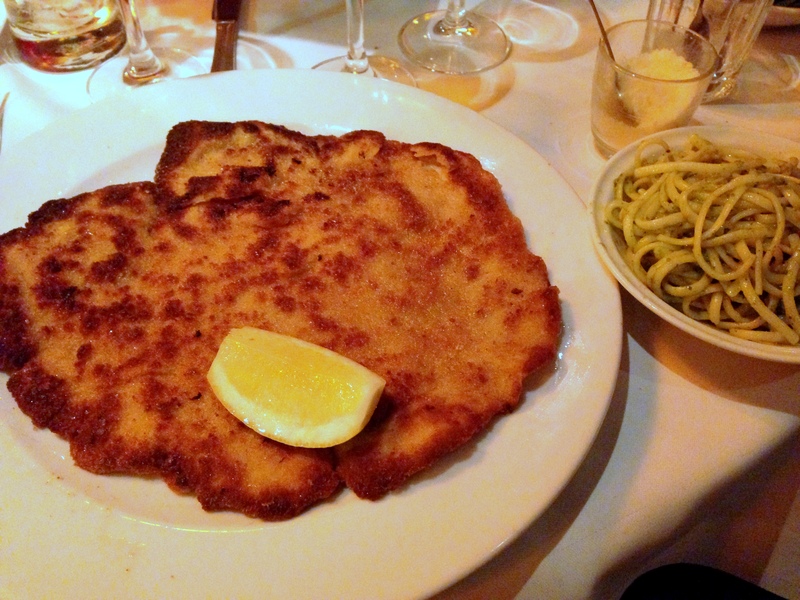 I arrived in Paris right around dinnertime, so of course the first thing that we did was eat. 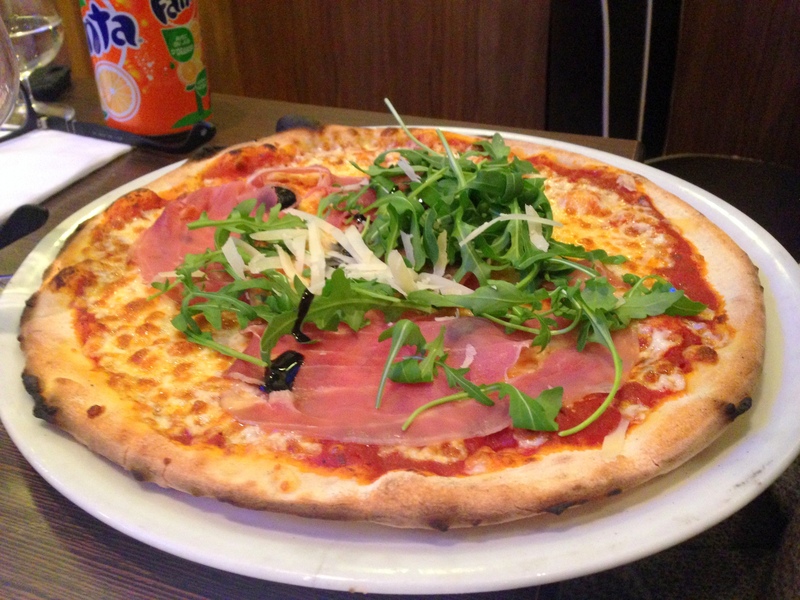 We went to a little Italian restaurant right near our hotel, and devoured some pizza and pasta. My cousin Sami and I decided to share an alfredo penne pasta with mushrooms and a pizza with prosciutto (that took an embarrassingly long time to spell) and arugula. 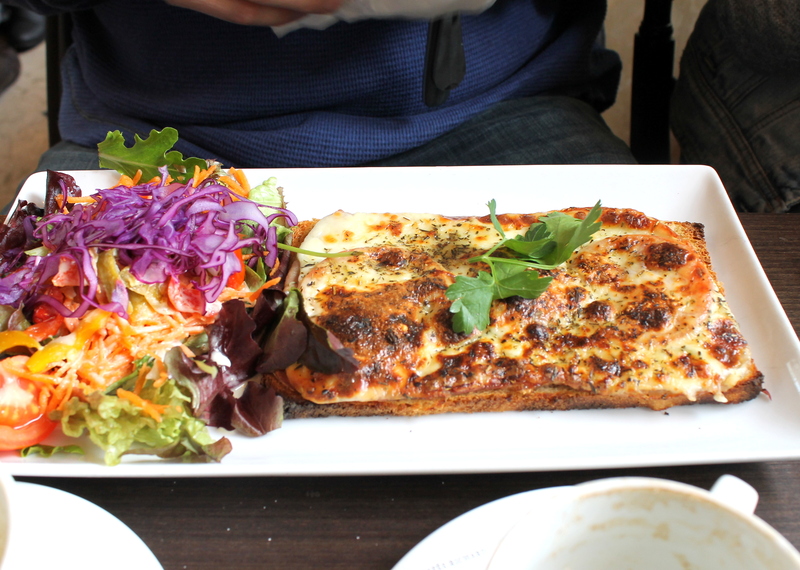 Both were delicious, but we both agreed the pizza trumped the pasta for sure. After dinner, we needed chocolate, so we headed into the grocery store. The chocolate aisle was highly overwhelming and full of choices we had never seen before, so we chose an assortment. Some gummy candies (because we needed something fruity), a speculoos white chocolate bar (because we needed to know if it tasted like cookie butter!! ), a creme brûlée chocolate bar (OMG. 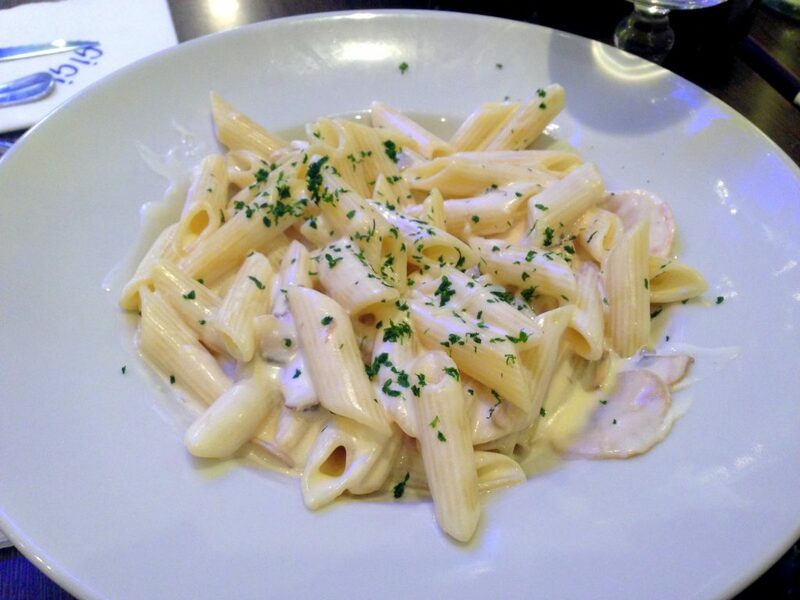 Find this, and eat it all. 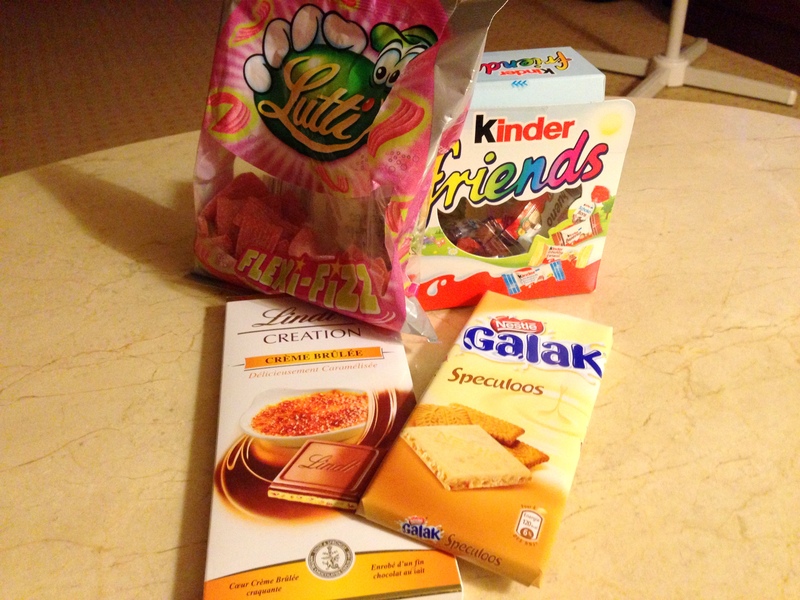 ), and a Kinder chocolate assortment (because we’re beyond indecisive). We went to bed with major chocolate stomaches, but it was all wonderfully delicious. Also, we ate that chocolate throughout the trip, not all in one night. We’re not that gluttonous. The next day, we walked around a ton and explored the city! 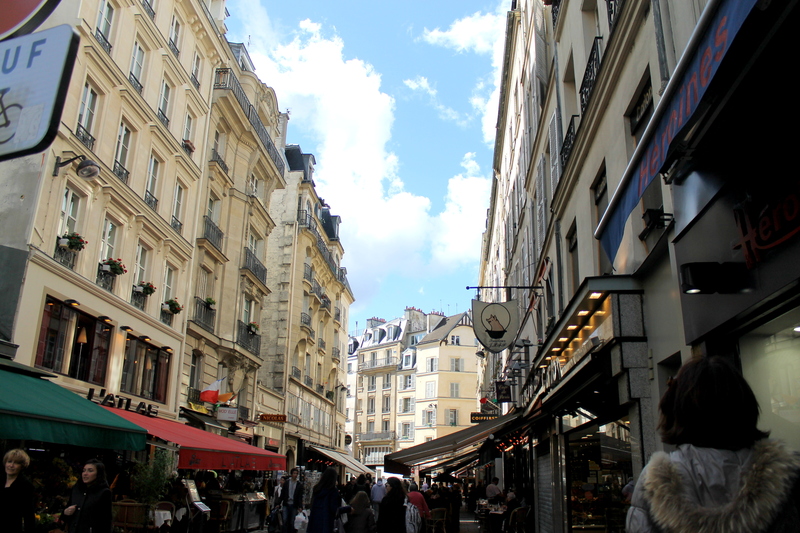 We ate lunch on the Champs Elysees, and wandered through gorgeous stores. 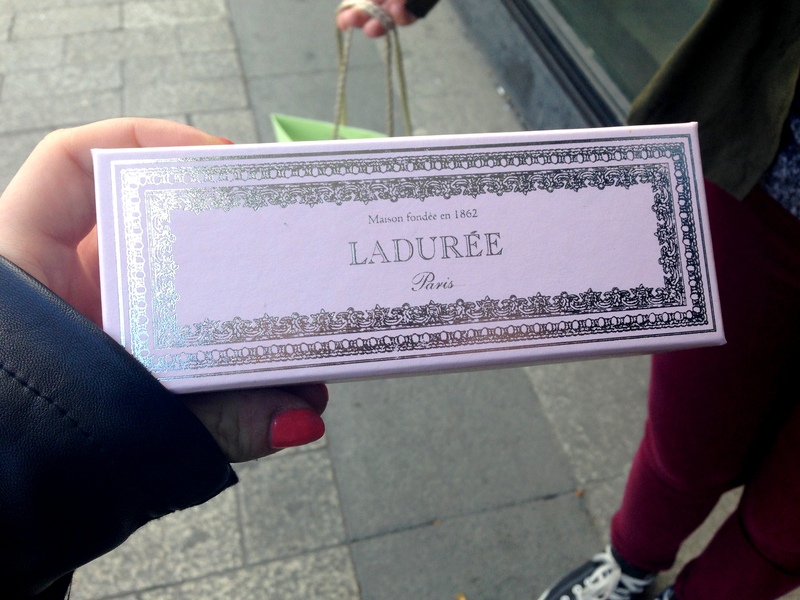 We also had it hit up Laduree, what kind of pastry lover would I be if we didn’t?! 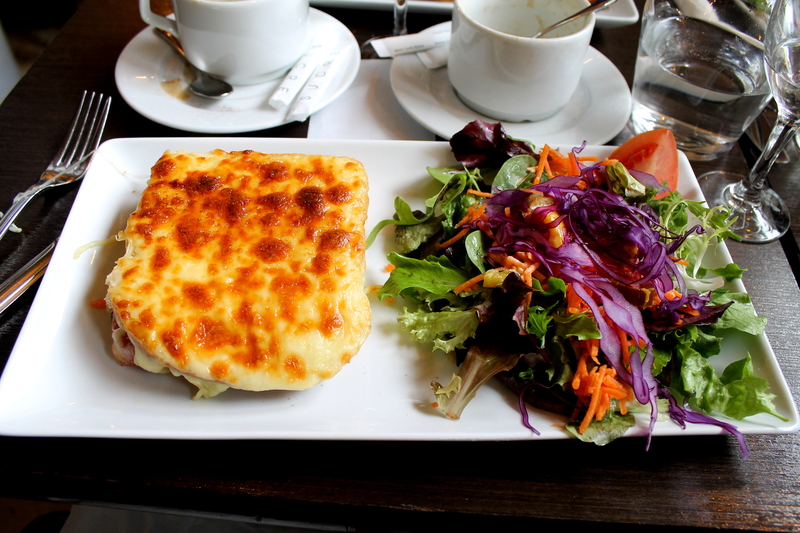 This was part of our lunch at the cafe on the Champs Elysees. 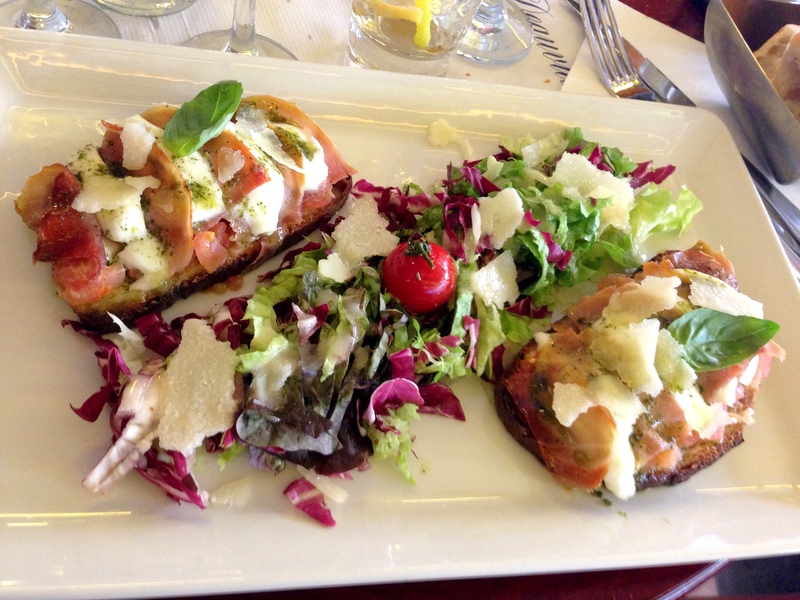 It was a bruchetta with prosciutto, mozzarella, basil, pesto, and all sorts of good stuff. Absolutely amazing! 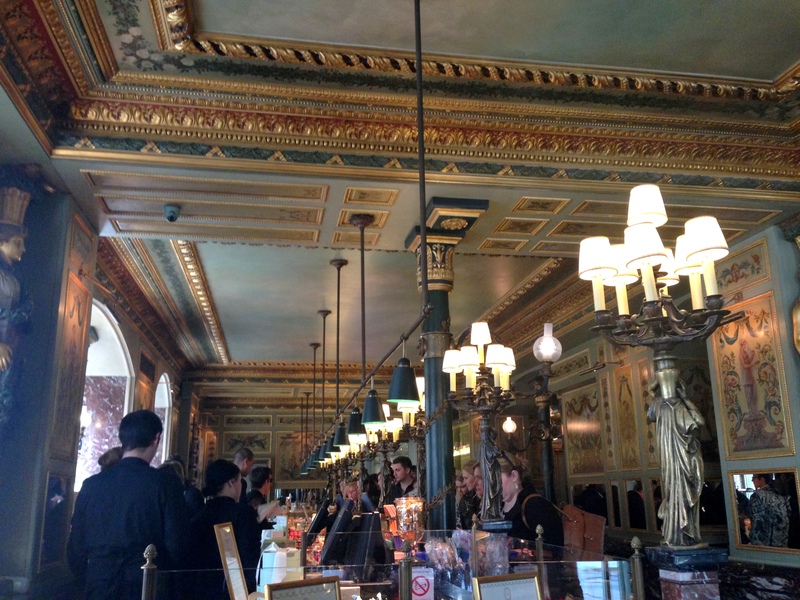 The pictures below are of our trip to the Laduree. OMG, not only was it the most gorgeous store, but the pastries were all beautifully decorated and presented. We got a box of macarons and a palmier, all of which were phenomenal. 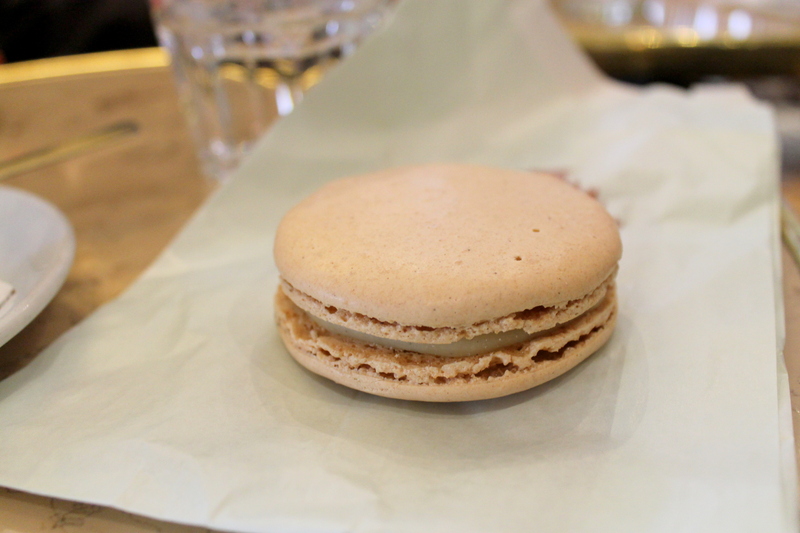 Our favorite macarons were the caramel and vanilla – so classic and simply delicious. Seriously though, can we note the layers in that palmier? Pastry heaven! 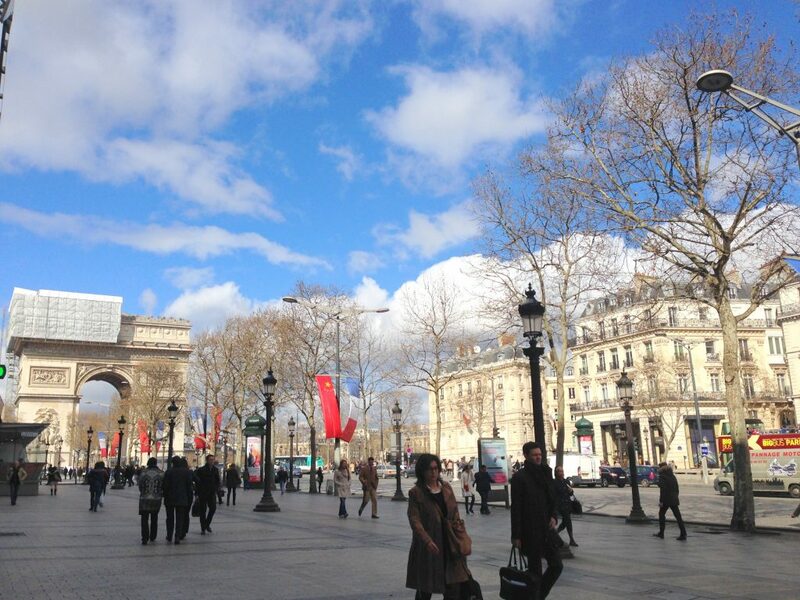 Some shots of the Champs Elysees. Isn’t it gorgeous?! We were so lucky to get such great weather as well. My uncle Brian is a basketball agent, so that night we went to go see his player, Elton, play! 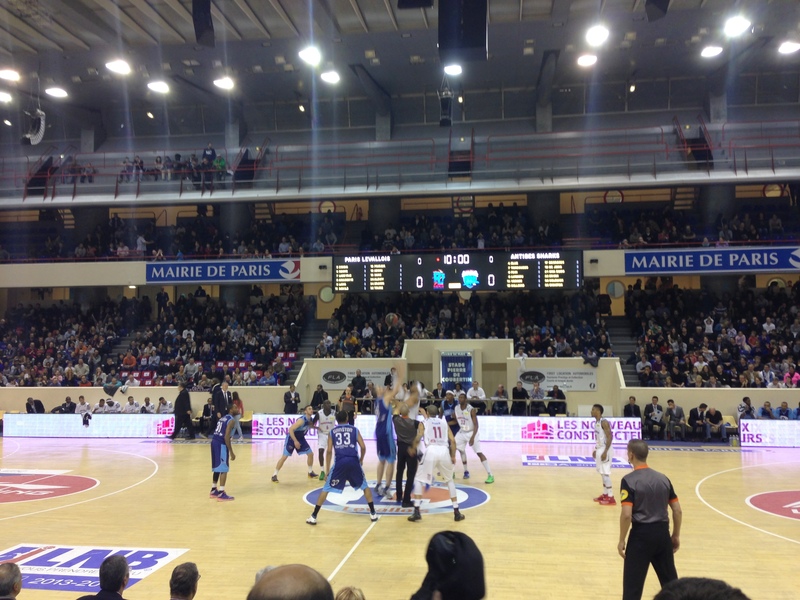 We watched the game from great seats and cheered from the Paris Levallois team, trying to figure out what the heck the people were saying in their cheers. 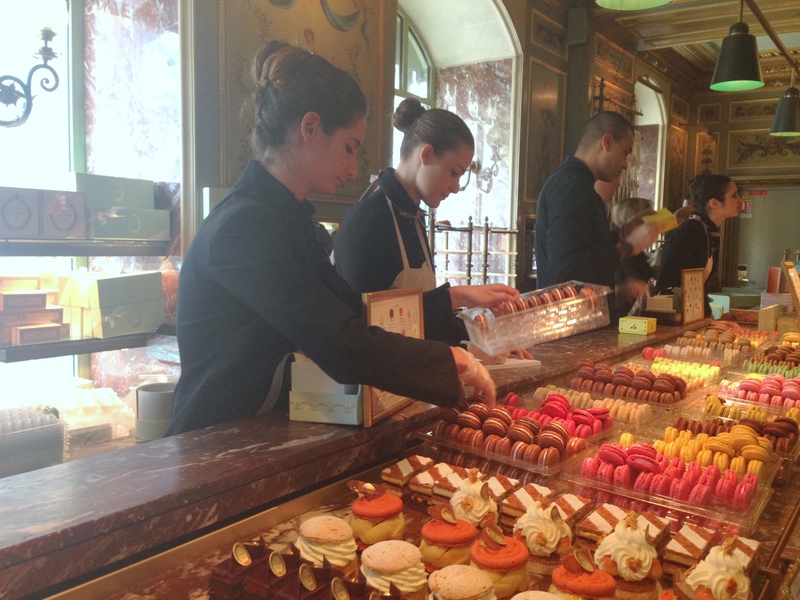 We also stumbled upon another, smaller Laduree. We couldn’t resist getting a big vanilla macaron. Too good! We also grabbed a shortcake with creme in the middle, which we brought back to the hotel. No pictures, because it ended up super battered from being carried around all day, and because it wasn’t very fresh, it also wasn’t very good by the time we got around to eating it. Major bummer. Wow looks like you had an amazing time I need to go to Laduree next time I’m there. I love those Lindt creation chocolate bars too did you know they just came out with a pistachio flavoured one?.Paris is so beautiful I went with my parents last time so we got to eat out lots which was great :) only me and my little brother made it to the top of the eiffel tower though ! eeeeeee I am so jealous!!! 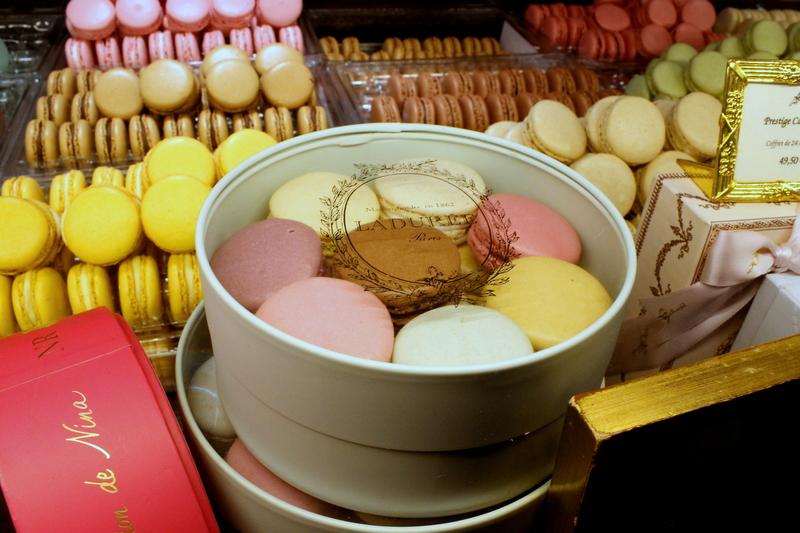 The pastries in particular look SO gorgeous and perfect-annnnd now I want a caramel macaron! Gorgeous photos! 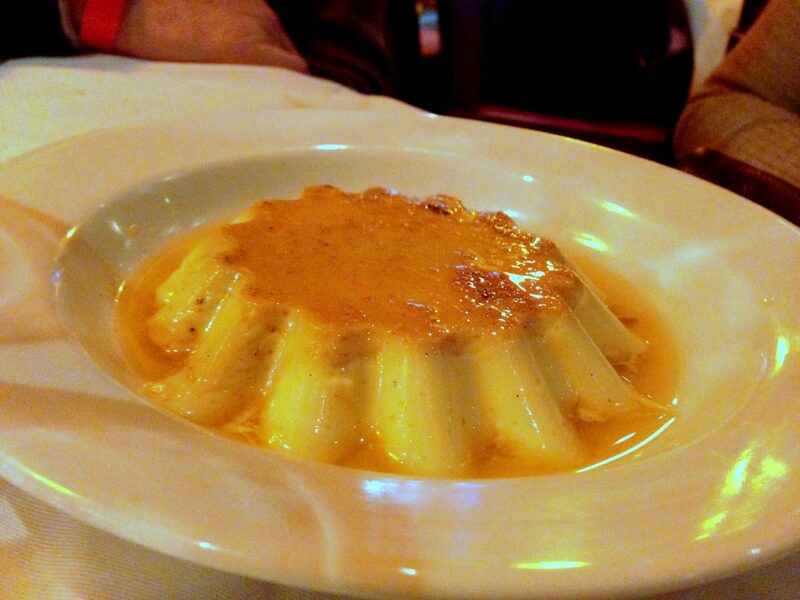 Did you try Pierre Herme too? 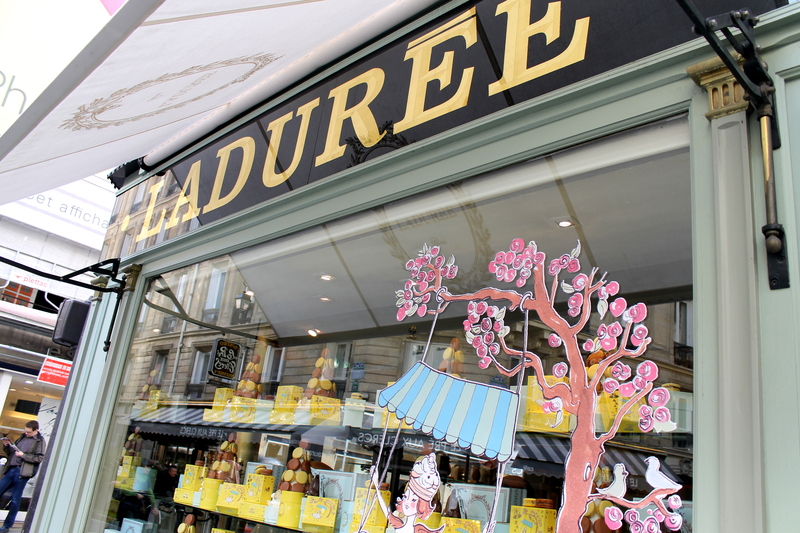 I went to Paris last year, and I unfortunately didn’t get to try Laduree but Herme! The macarons there were so delicious. 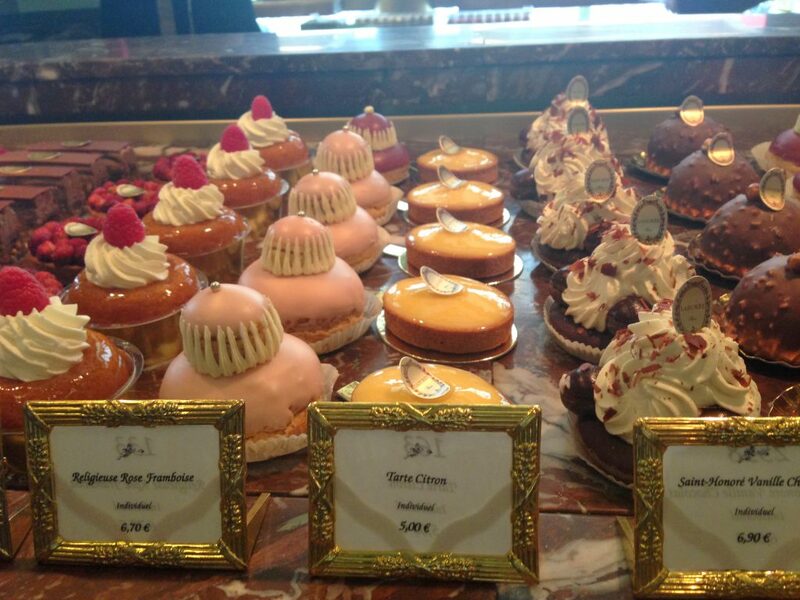 But I am seriously drooling at those pastries from Laduree. The line at Pierre Herme was insane, so we skipped it! And yes, those pastries were absolutely amazing :) Glad you liked the photos! It looks like you are having and incredible time and eating the most amazing food to ever exist on the planet! Those layers in that palmier just stole my heart! So happy for you girl! Oh wow, you lucky thing Rachel! 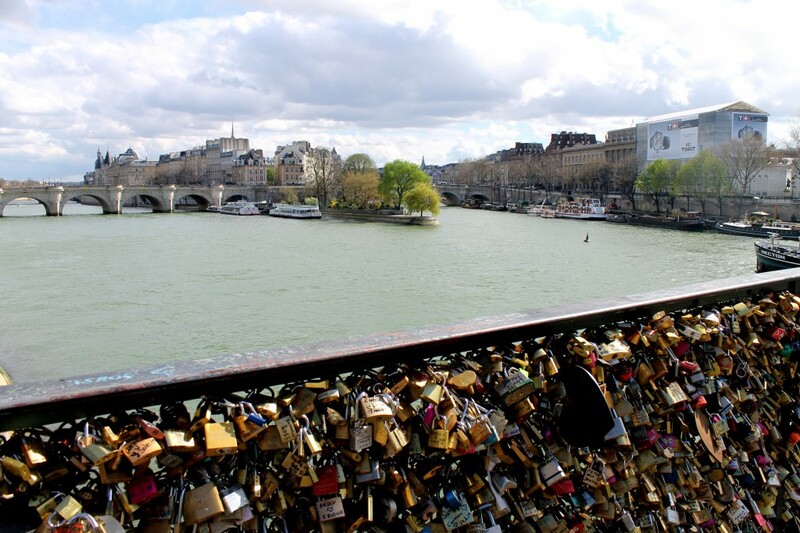 I’d love to go to Paris, I loved reading about your trip and seeing your photo’s. 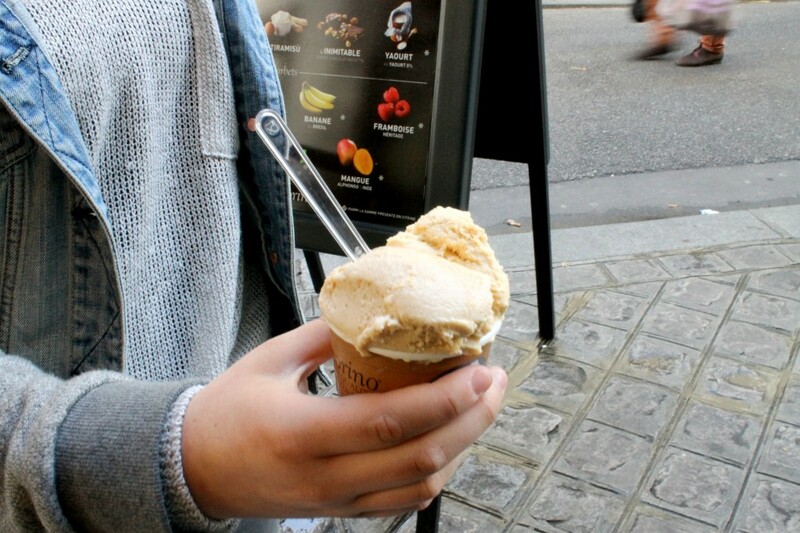 That gelato sounds scrummy! Oh my, I am glad you are back. 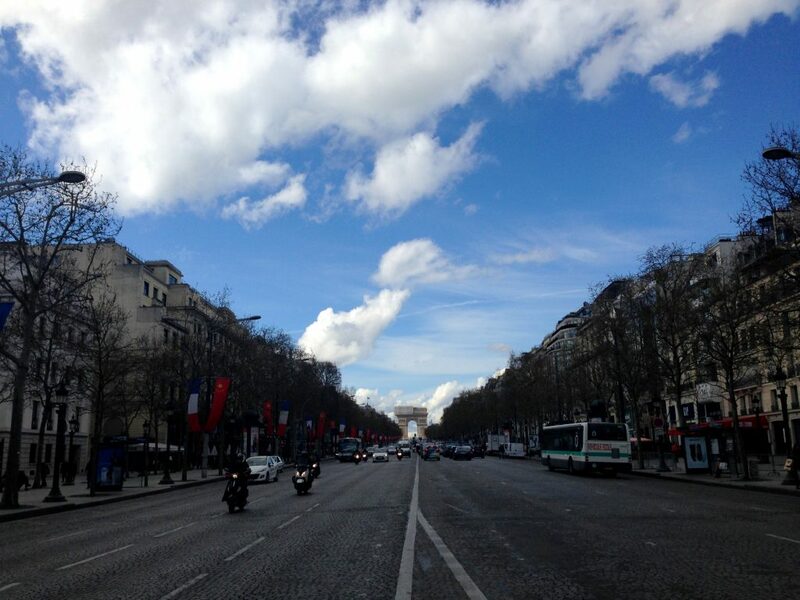 As the page was scrolling down and saw the tip of the Eiffel Tower, my heart was beating fast. 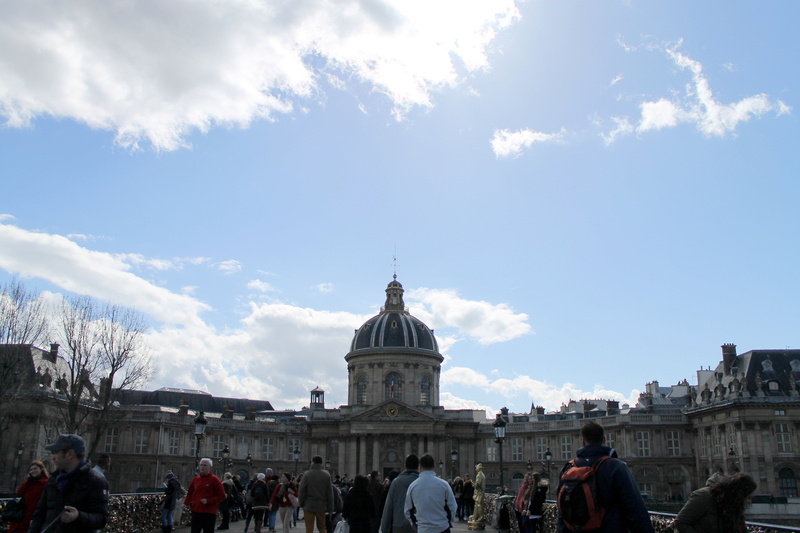 Europe specially Paris is my “big deal” travel destination. 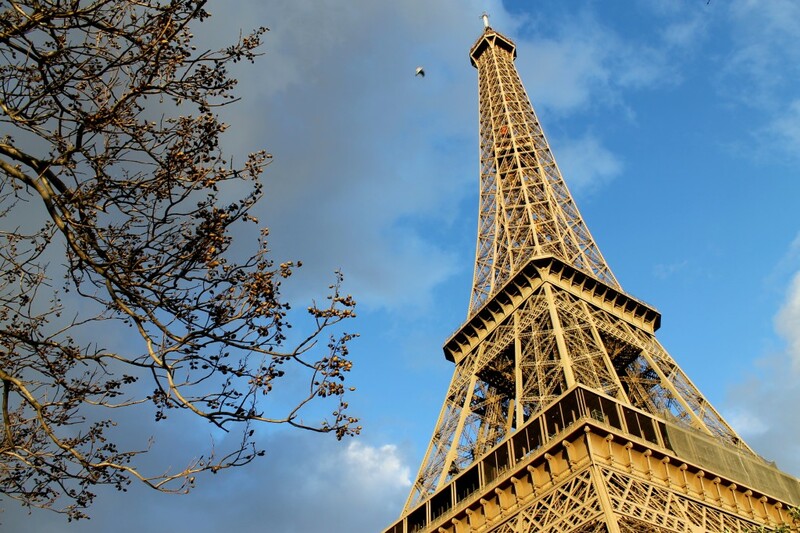 In fact, I have my daughter learn French because this year, after our Philippines visit which is 13 years of saving and dreaming, we are starting to save for our future trip in Europe ( that is five years from now and when she graduates in high school and writing it here feels like a long way to go). 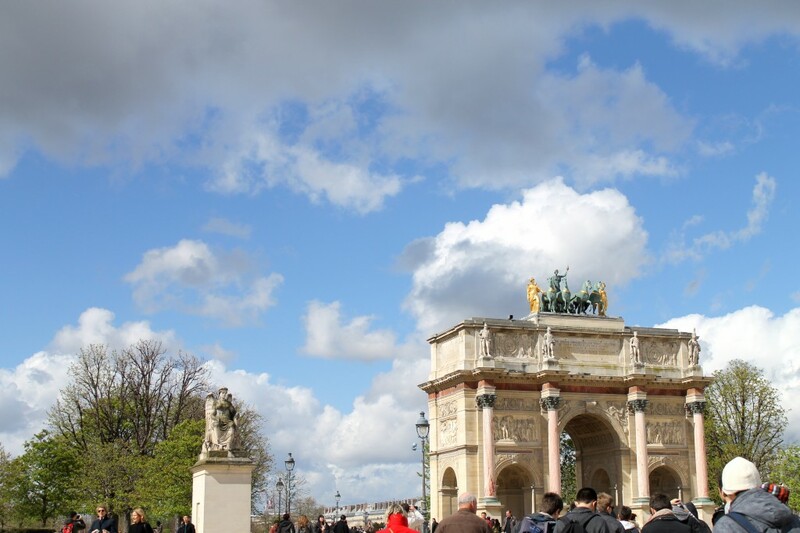 Thanks for sharing all these nice Paris pics. I will keep on looking on these pictures specially those colorful pastries and get inspired. Be safe! I loved this post! 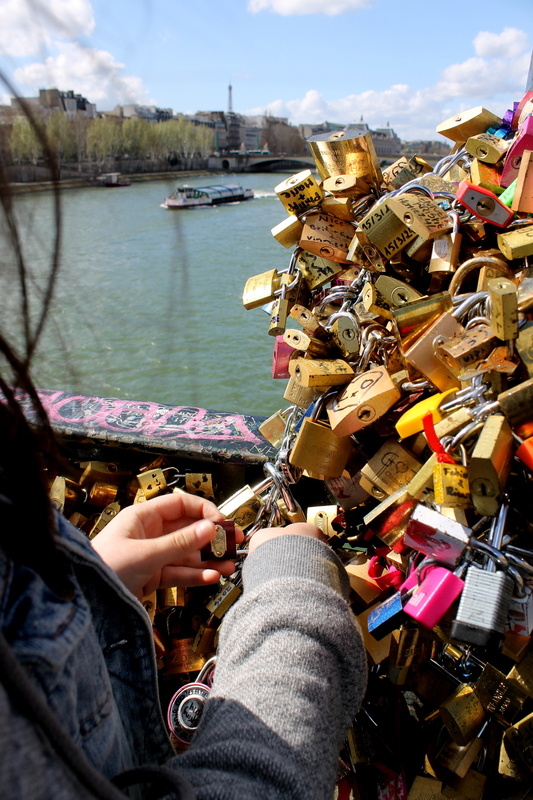 It took me back to my recent honeymoon in Paris. 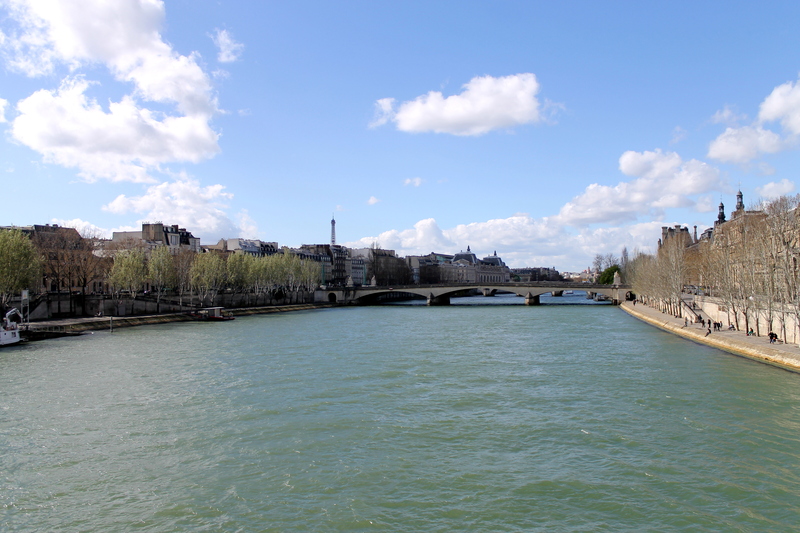 Ah Paris – tu me manques! It looks like you guys ate almost as many pastries and macarons as we did! lol! Oh wow, can I just say I am super jealous of all your travels??? : ) I love seeing all these pictures of the places you’re going and of course the food. I would love a pastry right about now! 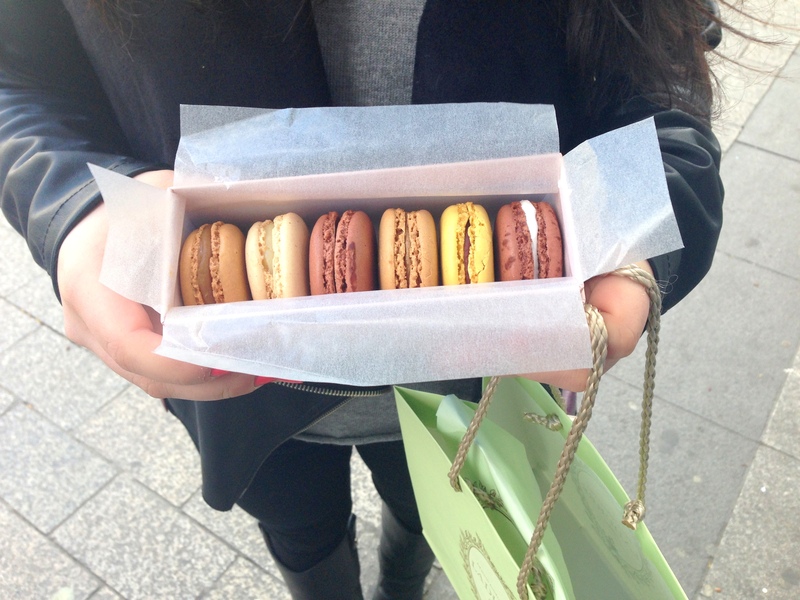 Holy macarons! That’s all I saw and passed out. I want to be biting into that box…entire box!! 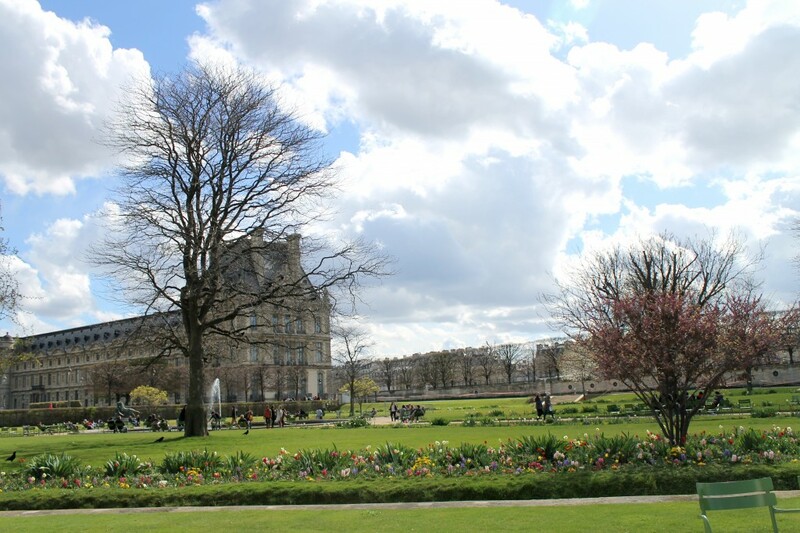 I finally had the chance to go to Paris a couple of Springs ago and this brings back so many enchanting memories. The place is simply dreamy. 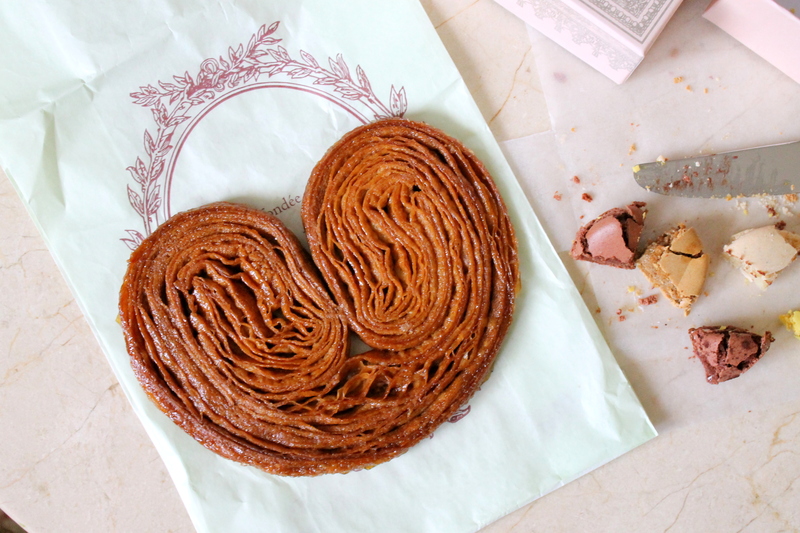 That Palmier from Laduree is insane! I hope you had some ice cream at Berthillon. Great photos – thanks for posting! All of these posts are just making me wish more and more that I were there :)! So glad you are having fun! Looks like a marvelous time. I plan to visit there, once the kids are a bit older. Beautiful photos! Aaah! 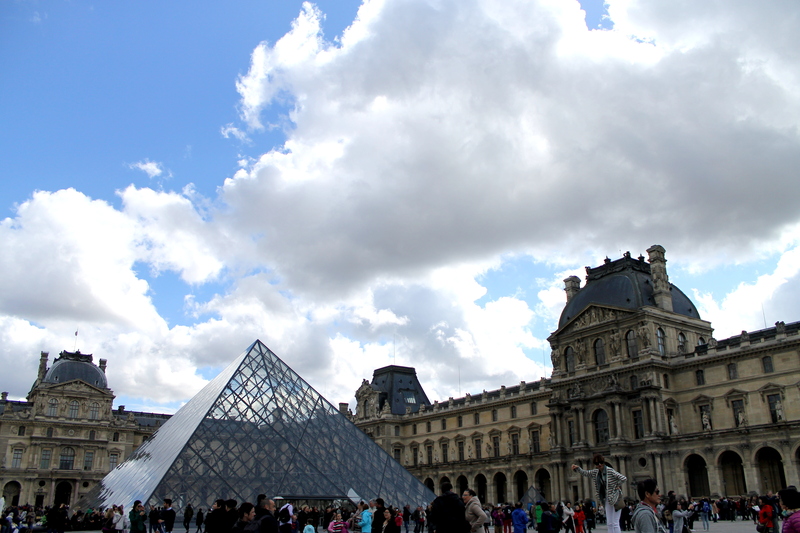 I’m going to Paris in 2 weeks. :) I think there are 4-5 other food bloggers going there this April and May. Too bad none of us will be there at the same time! And I’ve had that speculoos white chocolate bar. SO good! Can I just tell you how incredibly jealous I am right now? Looks like you had a lot of fun!! And the pastries? Mother! I want it! This looks like an amazing trip! 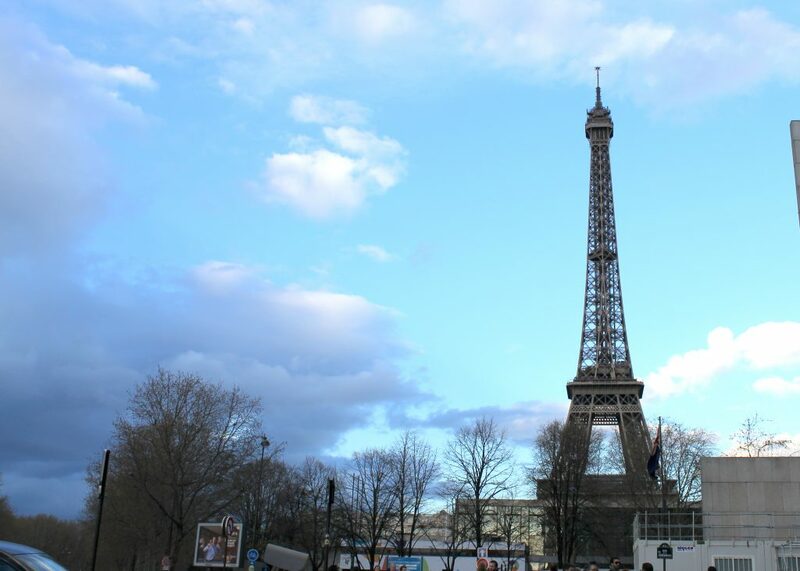 My husband took me to Paris for my birthday one year and I was so excited to see the Eiffel Tower, I actually jumped up and down clapping. I made him take me back to see it at night. That time I cried because i couldn’t believe I was there! You’ve officially made me feel homesick for France! Did you get to try a rose macaron? They’re my favorite. I’ve been meaning to attempt to make some but it seems like such a daunting task! Either way, you seriously lucked out. 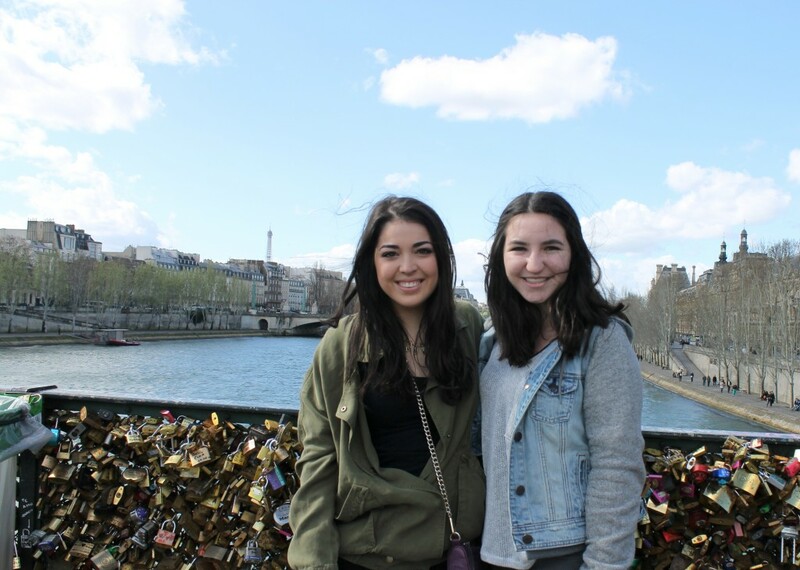 Paris looks like it was absolutely beautiful while you were there.